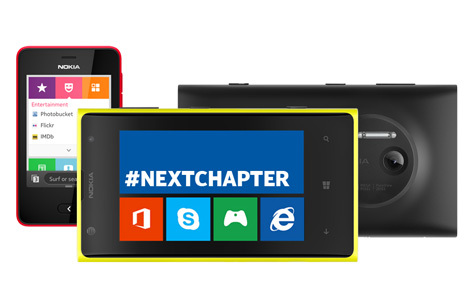 The end of an Era: Microsoft engulfs Nokia to become a huge hardware giant. Once an undisputed giant in phone arena, Nokia is no more as Microsoft took over the company’s phone division completely on Friday. This marks the end of the $7.2 billion dollar deal between Microsoft and nokia which was initiated in September 2013. Earlier today, Microsoft’s new CEO Satya Nadella had this to say regarding the completion of transfer of nokia’s phone division- “Today we welcome the Nokia Devices and Services business to our family. The mobile capabilities and assets they bring will advance our transformation”. Former Nokia president and chief executive officer Stephen Elop will serve as executive vice president of the Microsoft Devices Group, which includes Lumia smartphones and tablets, Nokia mobile phones, Xbox hardware and Surface. A decade ago, Nokia was perhaps the only phone to penetrate most markets when the phone craze was still a distant dream. Few of the most notable contributions from Nokia to the phone world are – The Nokia 3300, famous for its indestructibility, the Symbian line which is a forefather of current day smartphone OSs, the Lumia lineup which caused quite a stir and marked a partial revival of the company, the MeeGo flaunting N8. Also who can forget the 41 Megapixel giant Lumia 1020 and its famed N series? It was not unitl 2008 when Apple’s iPhone went crazy and Android showed promise, Nokia started to feel its grip loosening in the phone market. Few late and wrong decisions were enough to bring the once undisputed champion to a mere shadow of its past when Microsoft made a smart move to acquire the phone business of Nokia in exchange for a healthy dose of cash to boost up the Lumia lineup in every quarter. Though most Nokia fans and purists are against this move, it might as well be the only way for the brains of Nokia to stay afloat albeit under the banner of Microsoft.